Rose Quartz Obelisks from Crystals Point. 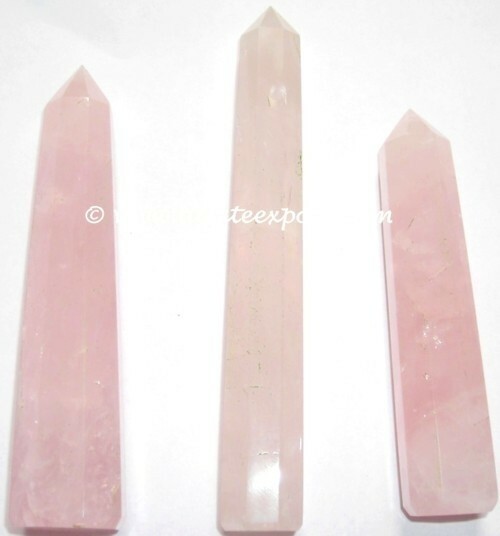 Rose quartz obelisk is a 4-sided tower which when kept in a coupleâ€™s room, fills the space with love energy. Its soothing energy relaxes your heart and lessens your negative emotions. Girls out there, wonâ€™t it be a perfect thing to add to your trousseau? Get one from Agate Export.